Congratulations to Sarah D., our new Class President. Sarah C. will be Vice President. Well done to all four candidates who gave very convincing speeches! This term will run until the February mid term break. A huge thank you to everyone who attended our production of Roald Dahl’s Little Red Riding Hood. The girls put in a lot of preparation, singing the songs and rehearsing their scenes. We hope you enjoyed watching it as much as we enjoyed performing it! We were learning about toys in the past. We each did an interview with someone from home about the toys they used to play with. We also brought in some of the old toys our parents still had. We spoke about the Late Late Toy Show….to our AMAZEMENT we had a surprise visitor one Friday. Ryan Tubridy came in to the school. Fourth class asked him about his job presenting the Toy Show. He loves to read! We wrote Limericks in class. They are five lined poems. The first, second and last line rhyme. The third and fourth line then rhyme with each other too. We wrote Limericks about snowmen, Christmas and winter. On Wednesday the 19th of December we attended a carol service in St. Gabriel’s church. The second and sixth class sang beautifully on the altar. We joined in with the songs we knew. When we came back to the school we went to the hall for Mrs. McCarthy’s annual raffle (Crannchur an Príomhoide). Mary and Ailbhe won prizes. The Parent’s Association gave us a box of chocolates to share around the class. Check out our lovely Christmas art! We drew reindeer and cut out penguins. Aren’t they cute?! Thank you to Caoimhe who has finished her term as class president. Elections for a new class president will take place tomorrow. We loved Science Week! Each day we made science discoveries! Monday Mentos and Coke experiment: we created an explosion when the dimples in the mentos mixed with the carbon dioxide in the coke (there was a bit of a sticky mess after). Tuesday We identified some famous scientists and discovered how their discoveries or inventions help us in daily life. Thursday –Sound experiment. This month we are learning about sound. To make science even more exciting we decided we would swap teachers for each of the experiments, as students in secondary school do. In Ms. McCarthy’s class we were exploring sound and liquid. We made our own instruments with Ms. Davey and learnt how each makes their sound. Ms. McManus taught us about insulators of sound. 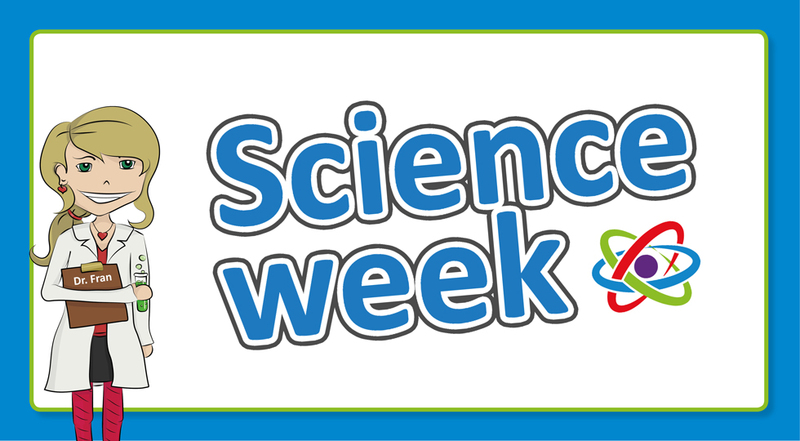 Friday – Scientist Visit Ailbhe’s mum visited during Science Week. She explained what she does in work. She makes medicine. We had no idea how much research and testing is involved in making a medicine. Did you know that it can take 10 years for a medicine to reach the shelves?! Sinéad gave us roles to play- a doctor, a doctor’s assistant and a patient. We used height charts, stethoscopes, blood pressure monitors and a peak flow meter. Sinéad’s visit was a lot of fun and we learnt a lot! 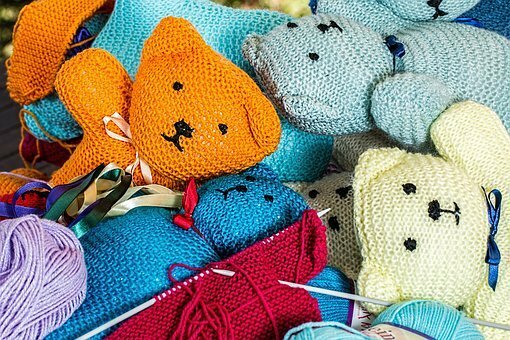 A few of us have now finished our headbands and have started to knit teddies. A big thank you to the mums who come in on a Friday morning to help us! Last Wednesday we auditioned for the main parts of our Christmas play. Well done to all the girls who auditioned, we really have a VERY talented class. Unfortunately, not everyone could get their first choice but we have made sure that every girl will have a line in the play. The three forth class teachers had a tough time working together to decide on the main roles Congratulations to Jenny, Keelin, Emer, Iris, Louise and Sarah D . We are happy for them and wish them well learning their lines. Our class will be performing the play on Monday 10th of December. We hope you can make it! On Monday our student teacher Ms. Banks will be teaching us. She will be teaching the class for three weeks from the end of November. 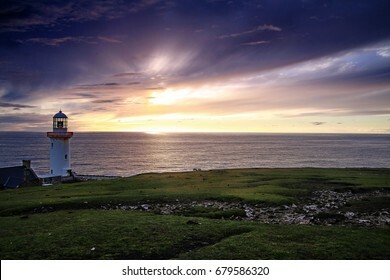 We have been learning about Arranmore in geography. We are comparing life in Arranmore to life in Dublin. We were very lucky to have a visit from Emer’s granny,Mary who grew up on Arranmore. She was able to answer a lot of questions we had. She showed us pictures of the island. They are hanging up with the travel brochures we created. We really enjoyed listening to Mary’s stories. We were fascinated to find out her yard in primary school was the beach! Mary told us that if we ever go to Arranmore we will be welcomed by ‘céad mile fáilte’. Last thing on Friday we made our way to the hall. A classical music group preformed for us. They played the violin, viola and double bass. We learnt knew musical terms such as arco (playing with a bow) and pizzicato (plucking the strings). Ava was invited up to play the double bass! They made listening to classical music fun! 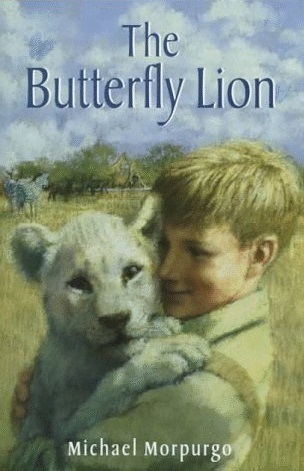 Recently we started reading our first novel, ‘The Butterfly Lion’ by Michael Morpurgo. Before midterm we focused on narrative writing. With our novel we will be focusing on a new genre of writing- recount. We will be writing diary entries based on our reading. Before writing we will discuss character feelings and work on summarising events in time order. Well done to all the girls on a successful E.U. Day. The standard of the projects and presentations was AMAZING! Super work girls- keep up the hard work! The class had a great time presenting their work to all the parents and other 4th classes. Thank you to all who came 🙂 For those that could not make it, we will have the projects on display in the cloakroom during parent teacher meetings. On Tuesday we had a Crazy Hair Day. We were inspired by the story ‘I Should be on MTV or Something’. In the story the main character goes to a salon to get her hair done. We had some very unusual and unique hairstyles in the classroom on Tuesday!! We have started visiting the school library. We visit the library on a Thursday. The girls have been borrowing books and recommending good books to each other. We have started knitting! At the moment we are learning the basics and just knitting test patches. Once we have had a bit of practice, we will try to knit a headband to keep our ears warm in the winter. On Friday, Jack McCaffrey will be visiting with the Sam Maguire. We will wear our Dublin colours again. A visit from both Dublin teams in the one week….we can’t believe our luck!